One of the most awe-inspiring moments of my life occurred on a cool moonlit night in New Zealand. I gazed up from my ground-level lodge’s balcony and saw the most amazing thing: hundreds of thousands of stars radiantly shining like diamonds in the skies. In the background, the vast, snow-capped Remarkables framed an image that I would remember for all time. It was mesmerizing. I didn’t want the moment to end. As it turned out, I was able to repeatedly watch the same star-studded display in almost every place I visited in this vast country of four million people. But there’s more to New Zealand than movie locations and bungy jumping. The youngest country on earth is swathed in natural and man-made assets making it the perfect place for a holiday, especially during the hot and humid summer months in Asia. Autumn (March to May) and winter (June to August) are great seasons to cool off in one of New Zealand’s sensational spots. It is tempting to follow the throng of holiday-makers in Asia who head to the beach for temporary relief from heat. I, however, say ditch the beach! 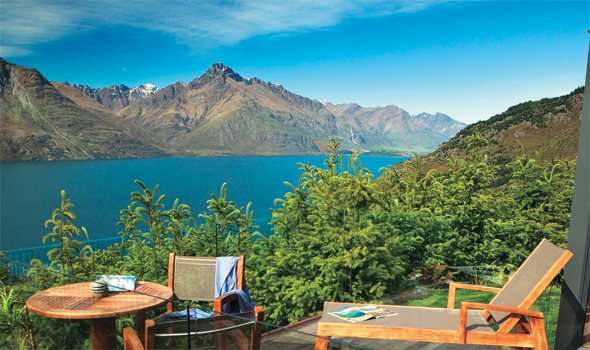 Instead, pack some warm gear and escape to Queenstown (South Island) to chill out. Celebrated for its magnificent scenery, adventure opportunities and luxury lifestyle, Queenstown sits prettily on Lake Wakatipu. The birthplace of bungy jumping, Queenstown’s wildly exciting environment is irresistible to adventure seekers. It is for this reason that it has been dubbed the adventure capital of the world. This bustling year-round destination simply rocks with adrenalin-stirring, sanity-reducing exploits of the most extreme kind—and a few leisurely pursuits. Autumn is a relaxing time to witness nature’s landscape transform from luscious green to brilliant red and gold. From March to May, Queenstown has stable, clear weather that allows most outdoor excursions. Every visitor to Queenstown should hike or ride to somewhere high. From the top of almost any hill, magnificent views await. 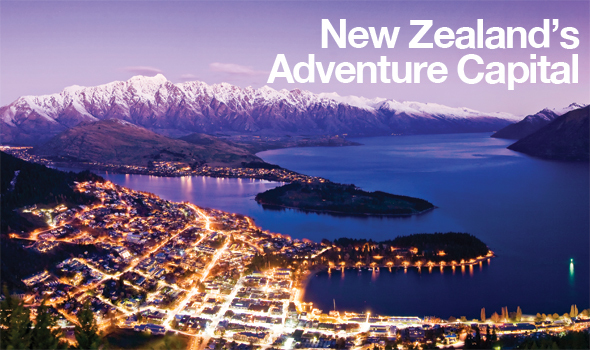 Climb Queenstown Hill or Ben Lomond for fantastic views of Queenstown and beyond. Ride the Skyline Gondola for the classic postcard-perfect shot across Lake Wakatipu and Queenstown. Ride a horse into the high country on a guided trek. Queenstown is part of the Central Otago region, the fastest growing wine district in the country. Book a wine tour or hire a car and visit the vineyards in Gibbston Valley, known for its seriously good lunches and wine tasting. You can also tour Gibbston’s wine cave and cheese factory. 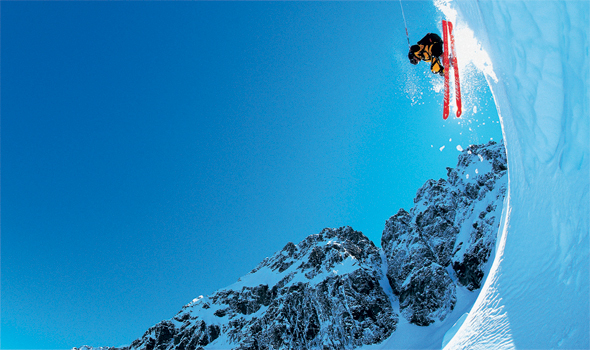 From June to August, Queenstown turns into a winter playground, positively vibrating with snow activities and enthusiasm. With two ski areas in close proximity, this resort town is the place to escape to if you want to beat the sweltering heat in Asia. Fancy being a part of the apres scene? Queenstown is filled with chic restaurants, nightclubs and cafes. If you’re lucky, you might even get a window seat overlooking snow-capped mountains. A cozy seat by a roaring fireplace where you can snuggle up and drink the night away is also a delightful way to spent an evening. Head over to minus5º where you can have a drink in a bar that is made of hand-sculpted ice. The walls, the bar, the sculptures, the seats and even the glasses your drinks are poured in, are all crafted out of ice! It is a unique experience that will chill your bones and delight your senses. Let one of the ice guides take you on a tour you will never forget. The two ski fields closest to Queenstown are Coronet Peak and The Remarkables. A mere 20-minute drive uphill, Coronet Peak probably has the most European feel of the lot. Choose a bar or restaurant to relax at and enjoy some of the love music acts on the outdoor stage. You might even see the occasional celebrity accompanied by an entourage. If your legs are skied-out, try your hands on a gold pan or a fishing rod. There are plenty of exciting activities to choose from. Bungy jumping, horse trekking, 4×4 bike adventures, fishing, golfing, jet boating, tandem skydiving, and white water rafting are just a few of the activities on offer here. Better yet, enjoy lunch on a steam boat or soar in the air in a hot air balloon. There is also a pedestrian mall that links souvenir shops with ski stores and high fashion boutiques to satisfy your shopping itch. Explore Skippers Canyon with Nomad Safaris. This area offers both amazing man-made and natural features. Following the Shotover River valley, the Skippers Road was carved by hand through solid rock. The road clings to sheer cliff sides with breathtaking drops into the river gorge below. This route has breathtaking views at every hairpin turn, across the spectacular Skippers suspension bridge. 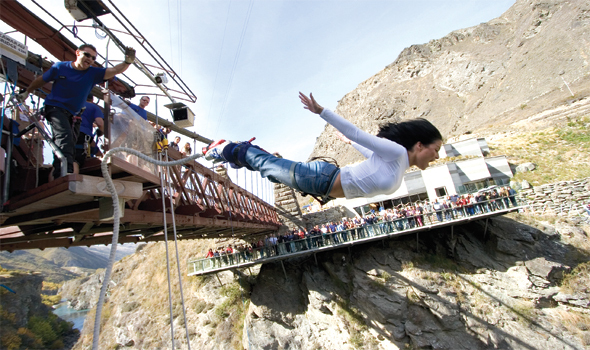 The Ledge and Nevis Highwire Bungy sites reinforce the reputation of Queenstown as the “home of bungy”. It offers Queenstown’s only winter night-bungy—suspended 400m above the night lights of Queenstown (open from 4:00 p.m. – 9:00 pm). The Ledge Bungy is a harness jump as opposed to the traditional foot tie jump of other sites. It is accessible via the Skyline gondola making this a one-hour return trip experience. Queenstown and its neighboring towns are only the tip of the iceberg. There is an abundance of places to experience and attractions to explore. Nature has bequeathed New Zealand with unrivaled beauty. This is the one place on earth that will absolutely take your breath away. Greek island holidays are very attractive. The various islands all have their own flavour, so you can choose according to your preference. Do you just want the beach or night-life? The right holiday is there for you.